WASHINGTON — A new train track would be added alongside existing ones from the Potomac River in Arlington through downtown Fredericksburg under new recommendations from the Virginia Department of Rail and Public Transportation. 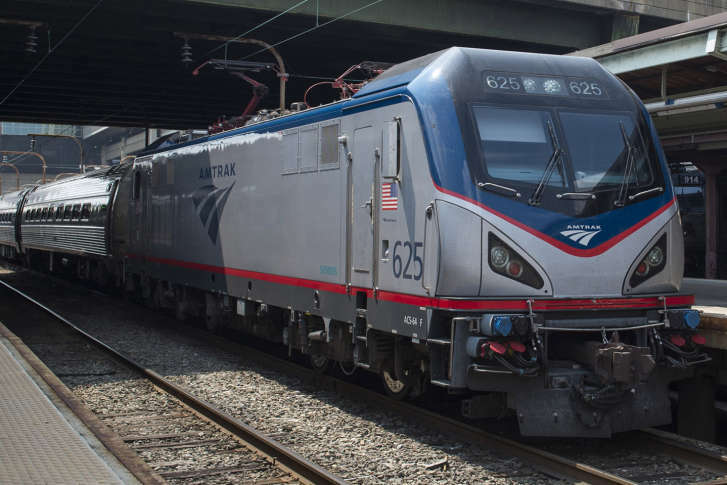 The changes would also lead to all Amtrak trains that go to or through Richmond actually stopping in the city rather than only in the suburbs. DRPT Director Jennifer Mitchell said the DC2RVA rail project’s draft environmental impact statement that had been due for release this month has been delayed until early next year, but the project’s leader Emily Stock outlined the expected recommendations Tuesday. “We must have additional track capacity in the corridor to support passenger and commuter rail, and also freight rail. Northern Virginia is the most congested area of the corridor both for roadway traffic and rail traffic,” Stock said. For now, the department wants to delay any changes in Ashland where opposition from people who live in the area and those with ties to Randolph Macon has led to fierce debate. DRPT hopes to pull that piece of the study out for more public comment over the next year or so. The goal would be to have an additional track, even if it is elevated or in a tunnel, in place around 2040. The recommendations remain open ended as the tracks reach the Potomac River since the District Department of Transportation and CSX, which owns the tracks, work on plans to renovate, replace or expand the Long Bridge that connects Virginia to D.C.
“Any improvements done south of Fredericksburg without the ones in Northern Virginia get us nothing,” he said. The preferred alternative in D.C.’s Long Bridge study is expected to be chosen in the next year or so. Like the DC2RVA study, when the recommendations are made, there are then further public hearings on many parts of the plans. In the Crystal City area, Stock said the department is recommending a fourth track to support Amtrak, VRE and freight traffic. In other areas, the project plans call for a third track. In Northern Virginia, Stock said most of the recommended options would be mainly within property already owned by CSX. Virginia or the federal government would fund many of the improvements in exchange for more passenger train slots on the tracks and the hope that more freight on the rails means less on the roads. Overall, the project intends to bring higher speed rail to the 95 corridor that runs more frequently and is more reliable. In Fredericksburg, Virginia has studied possible additional tracks that go around the city, but instead is recommending a third track downtown. The approximately 14 miles of new track would require improvements to a historic bridge, but avoids the need to buy lots of land around the edge of the city and build a new bridge over the Rappahannock River. In Richmond, the department recommends all trains shift to stop at the Main Street Station downtown. Today, only a handful of trains stop there while all trains stop at the Staples Mill station in the suburbs. The recommendation would have trains stop at both stations, which will require an additional bridge over the James River. The study found many of the options studied had similar costs. Layne said this would ensure that the train provides a real downtown to downtown connection. The study also found that by maintaining both stations, fewer improvements and less parking will be needed at the Main Street Station downtown. The total costs for the recommendations would cost about $5 billion in 2025 dollars. The federal government has already granted funding for some of the projects. In Northern Virginia, an additional third or fourth track would cost just under $2 billion. In Arlington, the connection to the future Long Bridge replacement is projected to cost $36 to $47 million. In Fredericksburg, the third track through the city would cost about $493 million. In Richmond, the changes and improvements could cost about $1.4 billion. A third track through central Virginia would cost about $643 million.